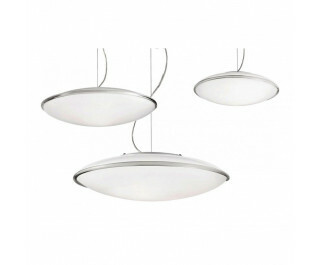 The Aurora SP Pendant Light by Vistosi has been designed by Studio tecnico Vetreria Vistosi 1986. The collection of pendant light in satin blown glass with a “Morrisa” decoration. The technique which requires the manual application of a glass filament on a moulded blow glass.